Subtropical and warm in the north to cool and temperate climates in the far south, New Zealand offers activities ranging from scuba diving to skiing. Having so many options can be overwhelming, so here are some activities that allow you to enjoy the beautiful scenery. Ever dreamed of zorbing down the hills of Rotorua? Zorbing offers a unique experience because you are literally rolling downhill in a large inflatable globe. Wet or dry zorbing is commonly offered and there are different tracks to choose from as well. If zorbing isn't your cup of tea, then maybe you can take a leap of faith by bungee jumping from the historic Kawaru Bridge near Queenstown. All around the country you can leap headfirst to enjoy the scenery from bridges, cliffs, rail viaducts and stadium rooftops. Maybe an aquatic activity is more your thing? 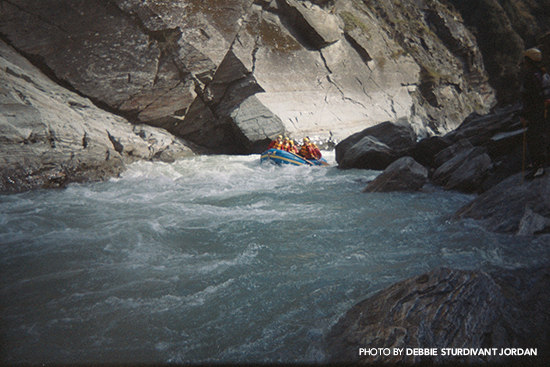 White water rafting can be found all over New Zealand. It offers the same kick of adrenaline that bungee jumping has to offer, but instead you're barreling your way down a river. Similar to white water rafting, one can go to the Legendary Black Water Rafting Co. to have a solo experience tubing through the Ruakuri Cave with glowworms lighting the way. Maybe you're not a thrill-seeker and you'd simply like to get out and enjoy nature. Kayaking will be right up your alley. Pick up a paddle and hop in a kayak to bobble on a lake or one of New Zealand's many rivers while listening to birds chirp and watching the local wildlife. For those dying to get to a colder climate, skiing in the winter wonderlands of Queenstown - Wanaka will give you a world-class experience. If the freezing temperatures don't blow you away, the scenery will. Although there are many other ways to explore New Zealand, these are just a few activities that the outdoor adventurer can come across.